Halloween safety tips involve common sense and patience. You know it is crucial to inspect your children's candy and make sure it hasn't been tampered with by anyone and you know they shouldn't trick-or-treat alone or in darkened neighborhoods. Pedestrian safety is another vital part of having fun on Halloween. North Bakersfield Toyota wants you to be aware pedestrians are more at risk of being hit by a vehicle between late afternoon and dusk on Halloween than at any other time of the year. When your kids go trick-or-treating, send them in large groups or accompany them. Make sure their costumes are easily visible to passing drivers. If the costume is dark, brighten it up with some glow-in-the-dark Halloween tape or a fun glowing mask. Halloween should be all about fun, and just a little bit of planning will ensure it is a great holiday. 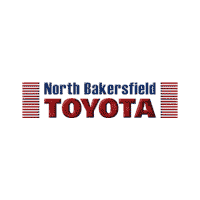 Visit North Bakersfield Toyota today for more safety ideas.